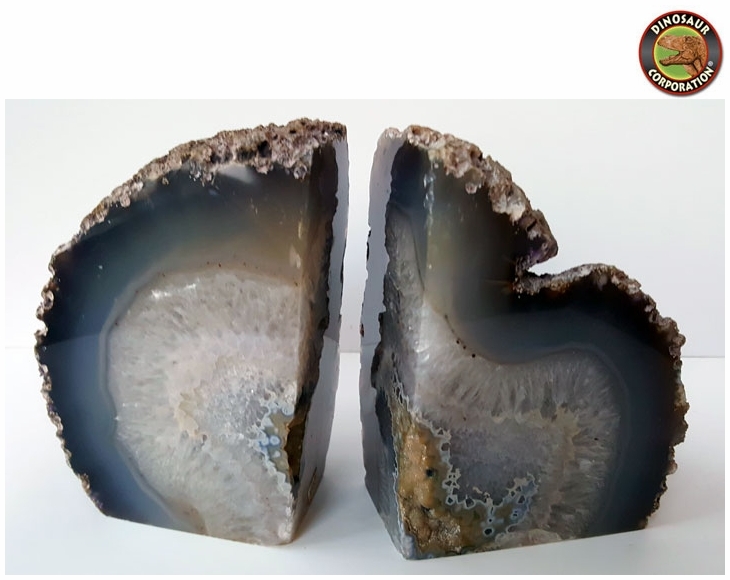 Home | GEMS | Large Brazilian Agate Natural Gray Geodes 6"
Sliced from semiprecious stone, these bookends are a dramatic way to anchor books on a shelf or table. The druzy stones are formed in ancient lava streams in the mountains of Brazil and combine agate, amethyst, and crystal in layers of luminous color. Artisans polish each one by hand, leaving the stony edge untouched. Natural agate slices, cut and hand polished in Brazil. Products of nature, each stone is unique in size, shape and coloring.